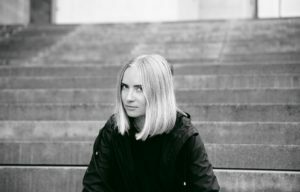 Hello and welcome to Magazine Sixty, Yulia. Let’s start by asking how living in and then moving between Russia, America, and Berlin has informed what you do in terms of sound and also your approach to life? Hello Sixty, and thank you so much for having me. Always cool when a DJ can talk to people instead of just sharing music. My favorite approach is thinking, “If you want be creative, you need to forget about all fears.” Meaning, fears about moving from place to place, or not being supported by people, or that your art is just not good enough. Just forget about all of it and try to do something. Sometimes it actually might not be good, but there is always time to improve, study, and learn from mistakes. I’m girl from a very small town in the South of Russia, and somehow I was born with the brain of an international traveler. When I was seven years old and went to school, we had French class, and I loved it when the teacher would call me Juli, because I knew I’d become an adult and go travel around the world someday. Anyway, music became a lever for my traveling and I made the decision to leave Russia after five years of DJ experience there. With very bad English and almost no savings in my account, I traveled across the ocean to New York, where I started to make serious changes in my life. I went to music production school and met the best artists and people from the industry. Now I’m in Berlin and all of it is hitting me more and more. I always keep my funky housey sound, but I’m improving it with every move I make from country to country, because each has its own music history, which I study and learn a lot from. Your excellent new single: Casa en el Agua for Rebellion (Crosstown Rebels) feels like an amalgamation of creative processes. Can you talk us through where the initial ideas came from and about how you then produced them as music, including any favourite pieces of software / hardware you like to refer to? “Casa en el Agua” is actually a real place that exists in the middle of the Caribbean off of Colombia. It’s an incredibly unique place. I had the chance to be part of an evening with Archie Hamilton, Niklas Stadler, Serdal and many more DJs. We had to travel for three days to get there. I just recorded some sounds of birds during the night on my phone. I record a lot of stuff on my phone that I can sample afterwards and use as inspiration in my music. After almost a year I found this recording and was just playing around with it and some other samples I recorded from machines. It was all super quick. Maybe two hours and the track was finished. I’ve learned that if you sit down and make something quickly, it’s always the best idea. If you spend a lot of time and go back to process again and again, the track will never sound good or be released. I’m very happy now about the new Ableton 10, still using a lot of Minilogue by Korg, Electron MKII, along with the perfect work of the Apollo interface — it all makes it sound very nice. Who are your main influences both within and outside of the world of electronic music? Any particular writers, musicians, painters you admire? I can’t mention artists like Michael Jackson or Madonna, actually inspiration for all the last tracks I’ve made for Crosstown and Hottrax. I really like to read Paulo Coelho, I do like modern, trippy art, but I can’t point to anyone in particular. Listening to you DJ, you touch upon many different styles. Can you choose three tracks which highlight that variation for us? Absolutely. These are three tracks I play all the time. You can see the transaction between disco, techno, and acid minimal. How about that? How important do you think it is for a DJ to keep moving forward with new sounds? And how would you describe the way in which instrumentation is so prevalent now (and how people react to rhythms), as opposed to the song-based sets of the past? Creating something new has always been important. Our ears react right away to new sounds. I think right now this is the main purpose of the DJ/producer. Before, we were only focused on new records, and making a perfect transition during the set. Now, we’re spending days at the studio trying to create something unique that will make us different from all the others and give us our own sound. Just now a Ukrainian producer, iO (Mulen), comes to mind. I’m so proud of Eastern European artists, and how many quality projects have been released in the last few years. This guy created his own sound and I’m sure everyone can recognize him right away. 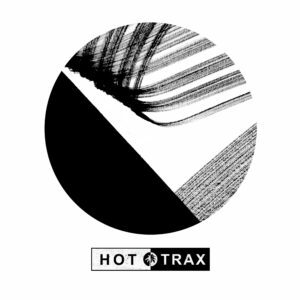 You also have a track: Cheap Story forthcoming on Jamie Jones’ Hottrax. How important has it been for you to have music released on such prestigious labels? And can you tell us about how the track came to be signed, and about the Acid influence in there? It was made together with “Casa en el Agua.” I had a break in January from everything and was just making a little album. Honestly, I sat down and asked myself who I wanted to send tracks to first, after I was done with it all. I was focused on Jamie and his sound, so in the end it was easy. I sent tracks to him and he picked two of them right away. I guess the key is to always focus on something and believe you can get it, no matter what. I think now’s a time of a new wave of Acid basslines on tracks. I’m really enjoying it and just trying to use it as much as I can. And finally, besides your busy touring schedule, what are you looking forward to for the remainder of this year and into next? I’m excited for the little tour with Damian Lazarus for the Spirits 2 album on Crosstown Rebels in November. It will be my debut at Watergate and couple of places around Europe. Very nice EP “Acid Meow” on Get Physical by the end of the year. And I’m just going to spend most of my time at the studio in Berlin after a very intense summer season at Ibiza. Let’s see what happens for me and where my destiny brings me in the end.